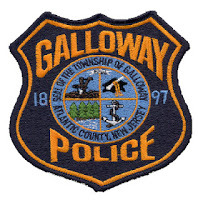 GALLOWAY TOWNSHIP – A Galloway Township man was found by a passing motorist lying on the street with a gunshot wound to the head late Wednesday night in Galloway Township. The man later died of the wound at Atlantic City Medical Center—City Division. At 11:12 p.m., Wednesday, July 10, a passing motorist found Metrevell Gatling, age 36, of Galloway Township, lying in the street at the intersection of East Collins Road and Colonial Court, in Galloway Township, with a gunshot wound to the head. The motorist contacted 9-1-1 and—with the help of other motorists—rendered aid to the victim until the arrival of EMT’s. Gatling was transported to the Atlantic City Medical Center—City Division for treatment. Gatling was declared to be without brain activity at 8:35 a.m., Thursday, July 11, 2013, but was maintained on life support throughout the day pending notification of family, and determination of their wishes. Life support was terminated late this afternoon. The Atlantic County Prosecutor’s Office Major Crimes Unit, and the Galloway Township Police Department are investigating the shooting death. No other information about the incident is being released pending further investigation. Anyone with information regarding this incident is asked to call Atlantic County Prosecutor’s Office Major Crimes at (609)-909-7666 or the Galloway Township Police Department Investigative Bureau at (609)-652-3705. When they first built all the housing in that area in the late 80's, it was a desirable place to live. It's a shame what it has turned into with the crime. It has turned into a very scary place to go through. It wasn't always this way. The Clubs are a community comparable to a small city within itself. The area as a whole, is made up of diverse groups of people. It has it's good areas and it's bad areas. I think because many of the condo's, in the beginning, were purchased as investment properties by casino workers and other investors mainly for the purpose of renting; that and the fact many of the renters moved offshore when Atlantic City was in it's redevelopment stages contributed to the makeup of this community. The earliest developments such as Colonial Ct., and Federal Ct. have become what you may refer to as slums. Some of the other areas are really not that bad. We as citizens need to stay vigilent in looking out for one another and reporting anything suspicious. Thank you to the person that stopped...and prayers to the victims family.